Those in Europe who haven’t bought a PlayStation 4 will be seeing a new bundle hit stores. 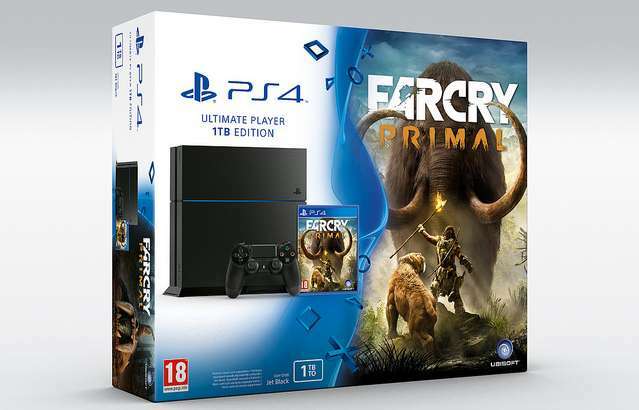 The new PlayStation 4 bundle will be launching in February alongside Far Cry Primal. Josh Linger of third party relations at SCEE announced on the PlayStation Blog that the bundle comes with a 1 TB Jet Black PlayStation 4 console, a Jet Black DualShock 4 controller, and a copy of Far Cry Primal. Linger also talked about a new trailer released earlier today that delves into the Stone Age Far Cry story. Far Cry Primal launches for the PlayStation 4, Xbox One, and PC on February 23. Ubisoft said back in September that Far Cry Primal is as big and as long as Far Cry 4. GameSpot’s Tamoor Hussain previewed Far Cry Primal last year, saying the new caveman-inspired mechanics add to the formula, but he’s not sure how many more of these games he can take.